“Irises” by Van Gogh, Oil Painting reproduction. 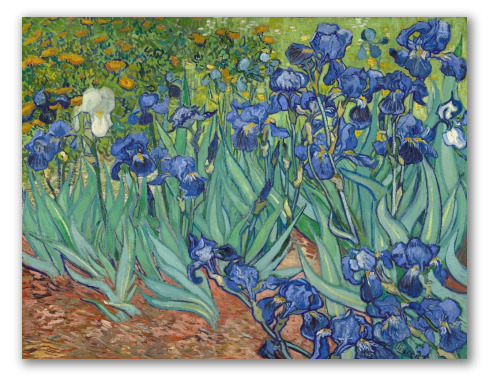 Irises was painted by Van Gogh in 1889, a year before his death. His inspiration came from some flowers in his own garden at the mental asylum. 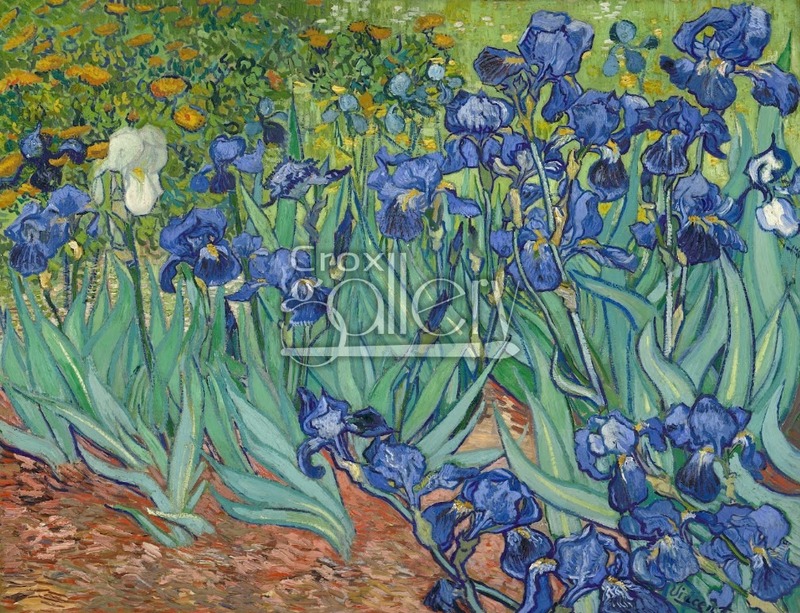 This work of art is full of life, each of the “Irises” is unique. Van Gogh studied carefully the movement and the shape of each plant, to create a variety of silhouettes with different kinds of lines: wavy, folded and curled. The painting is located in J. Paul Getty, USA.